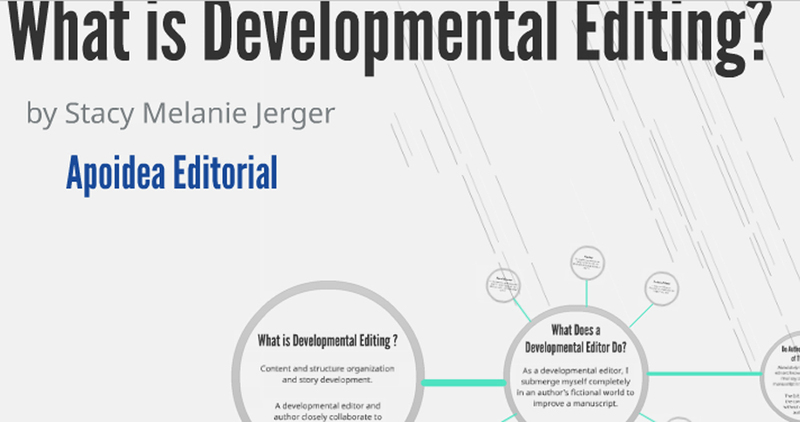 I've been playing in Prezi lately because I've wanted to create a simple and hopefully easy-to-understand presentation to explain what developmental editing is. Psssst. It's story editing. I've written several blog posts about the subject (How I Feel About Your Manuscript, How Does Developmental Editing Work? and What Does a Developmental Editor Do Exactly?). But there's something about a visual example combined with information that makes a complicated level of editing easier to swallow. What do you think?